Greetings. 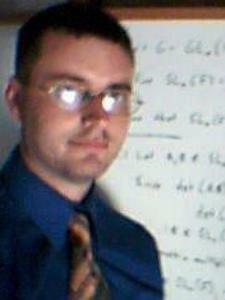 My name is Matthew C., and I am currently a college senior studying mathematics. I was not always good at mathematics. I started off college in Intermediate Algebra and by the end of my sophomore year I received an "A" in Calculus 3. Now I am studying theoretical mathematics and really loving it. With this background, I am in the position to understand people who have trouble with math and help them to overcome and eventually love math. Mathematics is truly a beautiful thing to study once you get past the initial fear of it. Contact me, and I will help you on this journey.